MotivationMed ett gemensamt mål i organisationen fortsätter Nouryon att bemöta nutidens och framtidens behov av kompetens. Genom att skapa förutsättningar för sina potentiella och nuvarande medarbetare. 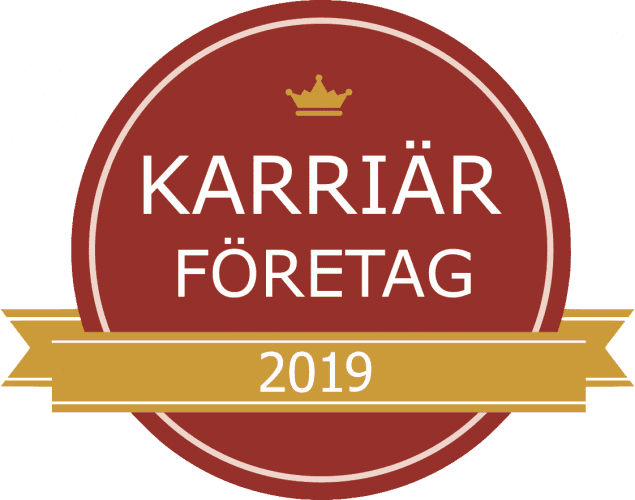 Med sitt Employer Branding i fokus så utses härmed Nouryon till ett av Sveriges Karriärföretag 2019. Our employees have ideas on how to build a sustainable future and the drive and passion to realize them. They believe that building long-term relationships and integrity are keys to success. If that describes you, we will gladly make way for your ambitions. We offer you countless career opportunities. From day one we support you with your personal growth, through challenging positions and comprehensive learning and development opportunities, in a dynamic, international, diverse, and proactive working environment. If you embrace the kind of culture which is reflected in our company values – Growing Together, Delivering on Commitments, and Leading the Way – then you might fit right in at Nouryon. We encourage you to apply to one of the challenging vacancies we have. When you work at Nouryon you get a unique opportunity to work with people from all over the world. You can expand your network both internationally and across fields with professionals both in the office and virtually everywhere. We offer opportunities abroad and ways to expand your horizon internationally. At Nouryon you are welcome to share your ideas and get creative. In order to maintain long-term growth and business sustainability we challenge you to come up with new ideas and show your innovative spirit. Our talent development programs are designed to give you the tools you need to grow your skills and career. Weather that growth is technical knowledge with our in house Six Sigma & Black Belt program or leadership skills with our management development programs, you will find access to all types of learning opportunities. Through our mentoring and talent matching programs you will have an opportunity to learn from some the best leaders in the industry. By joining us you are able to bring value to our sustainability strategy and make a difference in the world.